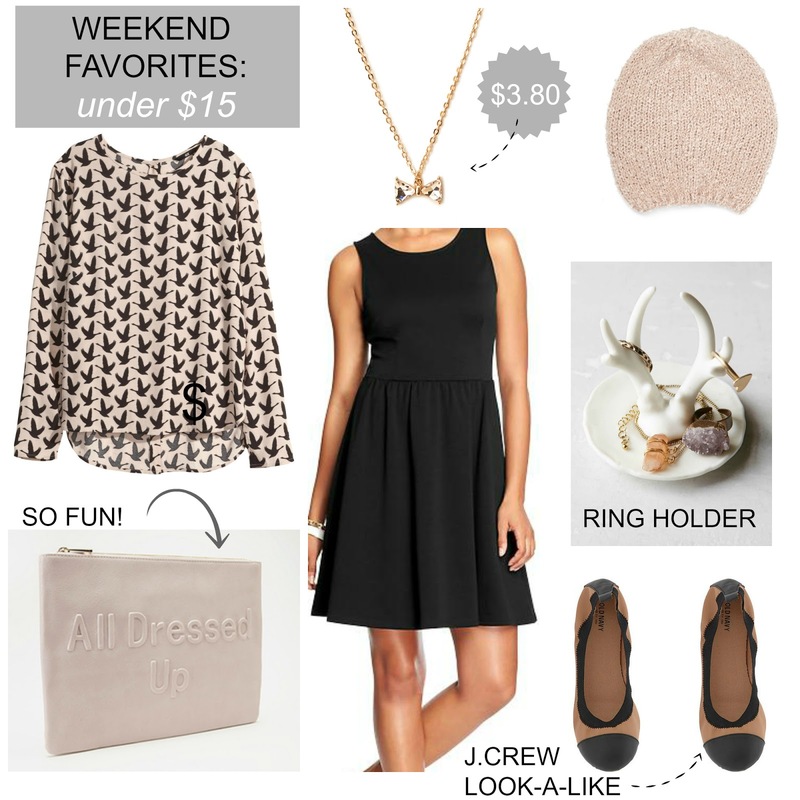 Tracy's Notebook of Style: Weekend Favorites: Under $15 + Free Shipping Deals! Beanie $4.76 ($6.80) // Forever 21 always has the best hats and their beanies are the cutest and most affordable. Antler Ring Dish $12 ($16)// I love pretty jewelry trays and antlers have been the animal of the season, so chic. Faux Leather Flats $14 ($24.94) I cannot believe how comfy these flats are and they look just like a pair I tried on at J.Crew! 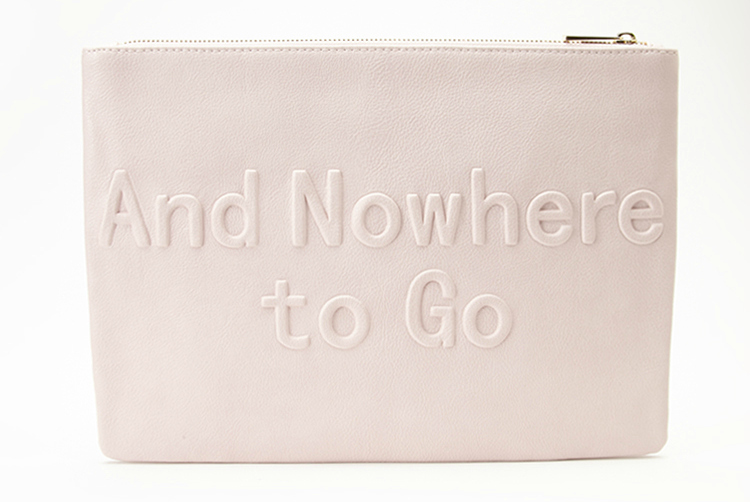 Statement Clutch $14.90 (also in black and "Let's Party" version here) This cheeky clutch is nearly identical to the one Zara carried a while back. HM Blouse $14.95 I'll have to give credit to my bestie for finding this blouse, the button back detail is so pretty! Bow Necklace $3.80 Bows always remind me of Kate Spade and this one is so sparkly and fun. *Cardholders save an additional 10% off Target clothing brands on top of the 5% - online only. Urban Outfitters Take an 25% off orders over $75 + Free Shipping on all orders - no min.